Brrr.. that’s exactly how I would describe the day before February begins. I’m currently huddled at home with Ginger, the snoring beagle, as temperatures dropped this week but it’s obviously nowhere near the “polar vortex” I’ve been reading about around the midwest in the USA or well, Siberia, every year. We had snow flurries this morning that naturally ended as soon as I stepped one booted foot outside our apartment building and I was instead splashed by a speeding car. However, a friend did take pity and drive us to Fiesole, the Etruscan hill-top village that you can reach by taking the number 7 bus from Piazza San Marco and we were rewarded with a proper frolic in the snow. 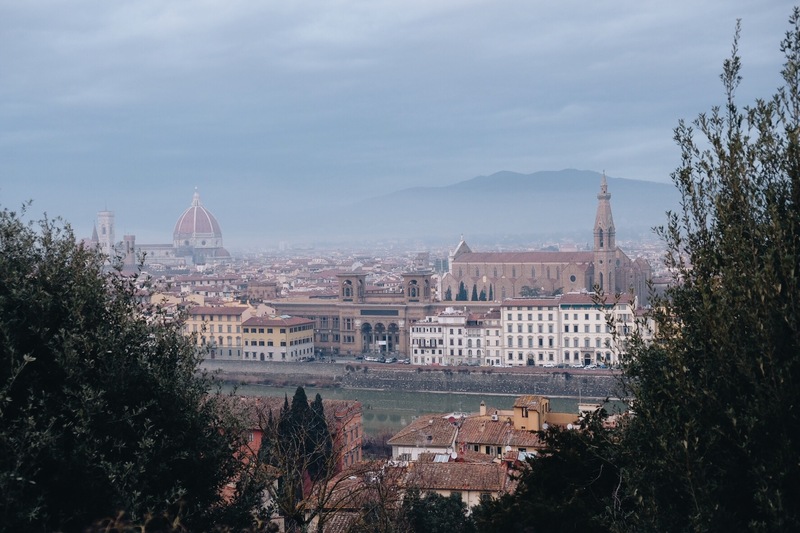 February in Florence, Italy is always quite a variable month as the weather can bring rain for days on end, or like this January, plenty of sunny, cooler days that make long walks in the surrounding hills a really enjoyable experience. For those visiting for the first time this time of year, bring your waterproof clothing, a good umbrella and scarf and enjoy what winter in Italy has to offer. Typically less crowds, the excuse to drink multiple cups of rich, velvety hot chocolate at Cafe Rivoire, Vestri, Cafe Hemingway or new bar Buca 10 on Via Fiesolana and good movies at our local original-language cinema, the Odeon in Piazza Strozzi. What else can you look forward to? Wine preview events, Black History month extravaganza, a brand-new festival and a love themed Storytellers! This month’s Link Love roundup! 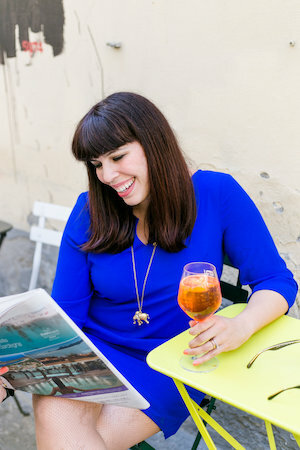 I have putting off getting my Italian driver’s license for ahem…11 years but this detailed guide by Rachel of Italianista might just be that fairy dust I’ve been looking for to finally become a normal human in Florence. “Why am I burned out? Because I’ve internalized the idea that I should be working all the time. Why have I internalized that idea? Because everything and everyone in my life has reinforced it” — this powerful essay by Anne Helen Petersen for BuzzFeed News hits on many interesting points about the millennial generation. My friend Emiko is currently in Australia doing tons of amazing food-related events in anticipation of her third cookbook “Tortellini at Midnight” due to come out this coming March. She’s also coordinating with cookbook author Tessa Kiros for a few and I wish I could fly over and join the fun! Condenast Traveler has a bunch of new articles and guide listings for Florence (also featuring my pals Erica Firpo and Curious Appetite) that you might want to save for a trip this year and if there is an editor out there listening, I can definitely help with that monthly roundup of events and happenings ;-). “As an outsider, perhaps I’ve been able to capture tender every day aspects of Naples that locals have become desensitised to. My work is about finding beauty in the mundane, highlighting the extraordinary in the ordinary” these photographs of people in Naples by Sam Gregg will blow your mind. 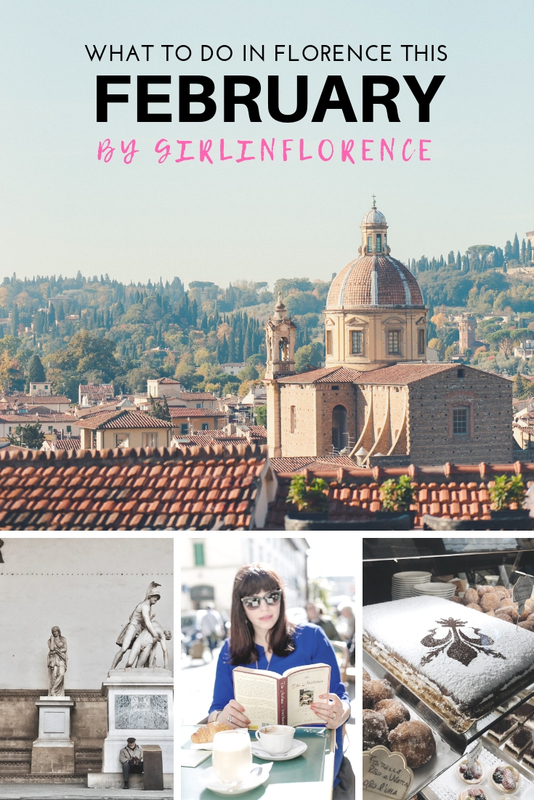 I love this cute article in The Florentine on four personality types of people who go out in Florence (and where they go) and the awesome illustrations. The first free Sunday of the month museum visits seems to still apply even though there is confusing messaging across Italy regarding what I thought was an abolished initiative. In any case you can still visit state museums for free on Sunday, February 3rd so take advantage of a hopefully less crowded Uffizi (ok probably not likely) the Medici Chapels and the Pitti Palace. For those who are interesting in watching the American Super Bowl, you can catch it at the Hard Rock Cafe in Florence at 11pm on February 4th or Red Garter bar on via de’ Benci. You probably want to reserve your seats in advance. Every first Friday of the month there is a musical open mic night at Virgin Rock Pub at 9pm hosted by the lovely Patti deRosa. It’s a great place to showcase your ear for tunes and meet a friendly group of locals. Book reading and discussion on “Medici in Love” will be happening at the St. Mark’s English Church on February 7th. In A Medici in Love: Francesco I in Renaissance Florence, Stefano Corazzini takes a look at this fascinating figure, who has unfortunately often been overshadowed by other more renowned members of the family, tracing his youth and maturity, his passion for alchemy and for Bianca Cappello, and the mysteries surrounding his untimely death. 6:30-7:30pm. February 14th: “Dr. Giacomino’s Tiny Bookshop” is a story about the magic of books. For ages 3 to 10 and above. 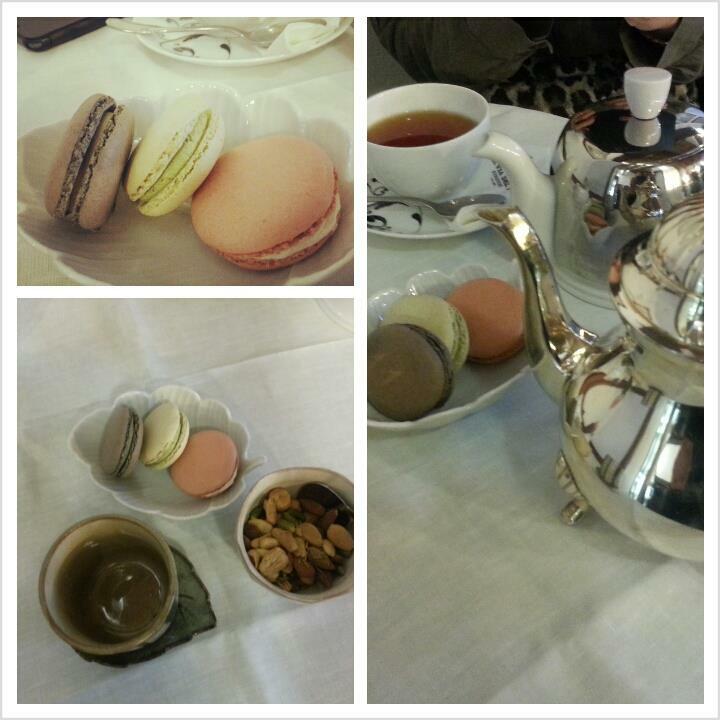 Tea and Sweets will be served from 4:30pm to 6:00pm. The Black History month is all of February this month (now in its 4th edition and they are super well organized) and one such place where you’ll find a bevy of events is the Student Hotel in Florence including photography exhibitions, music festivals and a hip hop performance on February 1st, 8th, 9th, 10th, 14th, 21st, 28th (more info here). For the full program of the entire festival, here’s the pdf! An “unexpected encounter between Haute Couture and Nature” is currently at the Pitti Palace in one interesting exhibit “Animalia Fashion” in the Museum of Costume and Fashion. From France and Italy to China and Russia, the clothing on display will show visitors an astonishing overview of what nature has to offer Haute Couture in terms of inspiration and atmospherics. This month’s Storytellers in Florence has been postponed from the first Saturday evening of the month to February 9th at the same time. This month’s theme is “love” and there is an active, open call for new storytellers! It’s a lot of fun and is one of my hands down favorite events in Florence, brought generously by Linda and Steve of The Beehive Hostel in Rome. 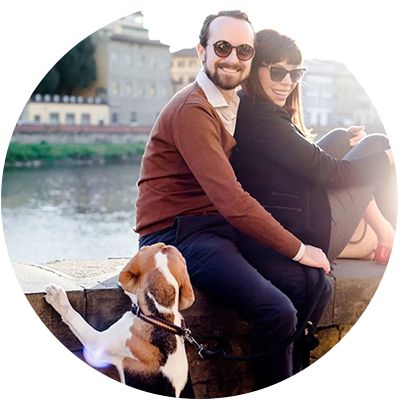 Who needs a Valentine when you have wine (I mean seriously) and this year’s Chianti Lovers falls on February 10th where over 150 wine-makers will be offering samples from their vines at the Fortezza da Basso. The morning is reserved for industry professionals and journalists while the doors open at 4pm until 9pm to the general public. Entrance cost is 15€. In more Chianti news the Chianti Classico Anteprima (preview) will take place on February 12th (this will be quite the boozy weekend!) 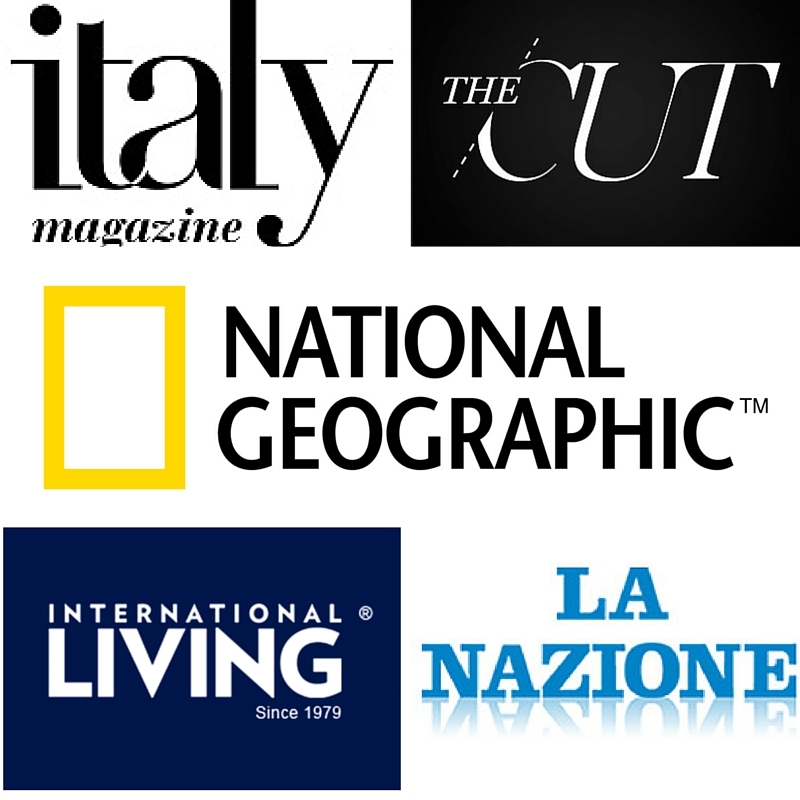 at Stazione Leopolda, journalists will attend on the 11th while it is open to the public the next day from 2-7pm! Open-mic night at Tasso Hostel will be on February 13th this month, a change from its usual schedule of the first Wednesday of the month. Open to all, there will be words, music, comedy – both accidental and intentional – with all the regulars who call Tasso’s Open Mic home. Ps. 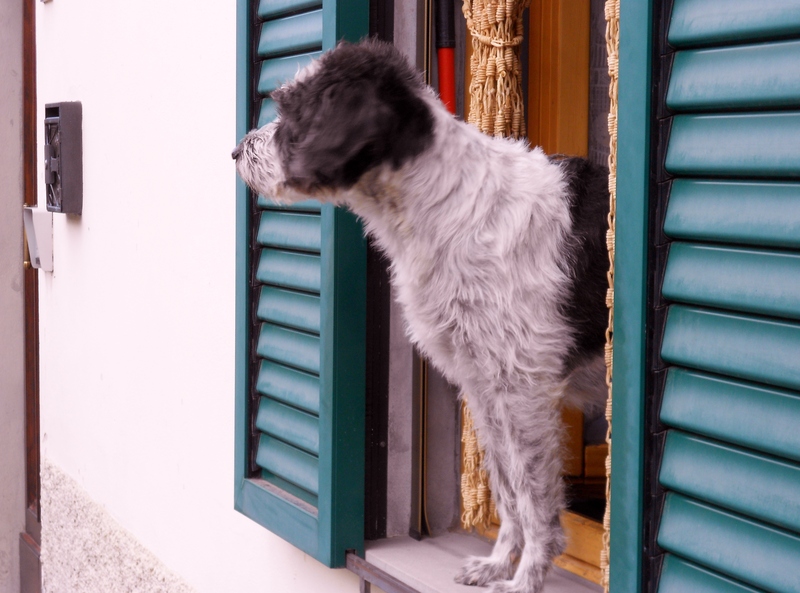 If you are visiting Florence and want to meet locals, here’s your chance. This month’s hosts are Linda Gwyn Flacco and Robert A. Magni. Anyone is welcome to participate (original material only) and each participant will have 8 minutes to speak/perform. More info can be found here. Eataly Florence is offering some really cool events this month starting with their weekend of Trippa & Lampredotto extravaganza on January 12th and 13th, a homage to the “cucina povera” in Florence that often uses offal as the basis for dishes (if you try it, you’ll impress the locals!) . Also on offer (and I am seriously considering this) is a gluten-free Indian cooking class for couples (65€) on January 22nd where you will learn how to make veggie samosas, Korma chicken , chapati and rice. Keep in mind that you can custom your own cooking class here (and it’s very affordable compared to local rates) – just write them at eatalyfirenze@eataly.it. Not sure what to do for Valentine’s Day? I suggest heading to Plaza Hotel Lucchesi for the next edition of Ego Circus, a brilliant idea of inviting guest bartenders from some of the best bars around town at Lucchesi’s ground floor bar for an evening of drinks for the general public. The February 14th edition will feature Manuele from the Oltrarno whiskey bar Lovecraft, everything starts at 18:30. This month ends the “Banksy. This is not a photo opportunity” exhibition at Palazzo Medici Riccardi (via Cavour 31) featuring the pioneering street artist, the fun wraps on February 24th. On display is a selection of 20 of the street artist’s most famous and memorable works. I have been indulging in a few self-care sessions in terms of massage, yoga, mindfulness and more with my pals at Relax Firenze who truly are the only ones in the city dedicated to overall wellness, a stone’s throw from Piazza della Repubblica. One thing that I have been loving are their gentle yoga sessions. This February join their classes of Pilates & Yogalates, lessons of Feng Shui, Essential oils, and Reiki classes. They also offer a superb amount of spa services: facials, massage (try the water drainage one! ), my favorite: reflexology. Also ask about their EMS sessions for those looking for some help toning up! You may not know this but during the nineteenth century, the Rificolona farmer’s market was traditionally held in Piazza SS. Annunziata on the occasion of the birth of the Virgin Mary. From 1984 onwards this tradition has seen a revival and nowadays multiple ‘Fierucole’ are being held every month, dedicated mainly to small-scale organic farming, crafts and rural life, involving small family farms and local artisans. This February, head to Piazza Santo Spirito on the 17th of the month for a peek into one of my favorite, and most traditional, local markets where you can buy organic honey, kombucha, the best organic parmesan cheese, balsamic vinegar, and partake in the local past-time of people-watching. Note al Museo is back at the Museo Opera di Duomo in Florence on February 21st at 9pm with five young musicians playing a live musical concert by Verdi and Rossini. The first of its kind! The Bright Festival is a new event spanning three days: February 21-23rd dedicated to al things light and digital arts at Stazione Leopolda and The Student Hotel. Yes I don’t really get what that means either! Notable events include various workshops at The Student Hotel (videomapping, photography, problem solving ion post production and character design, 3-d animation, an immersive arts experience lecture. You can check out the full list here. 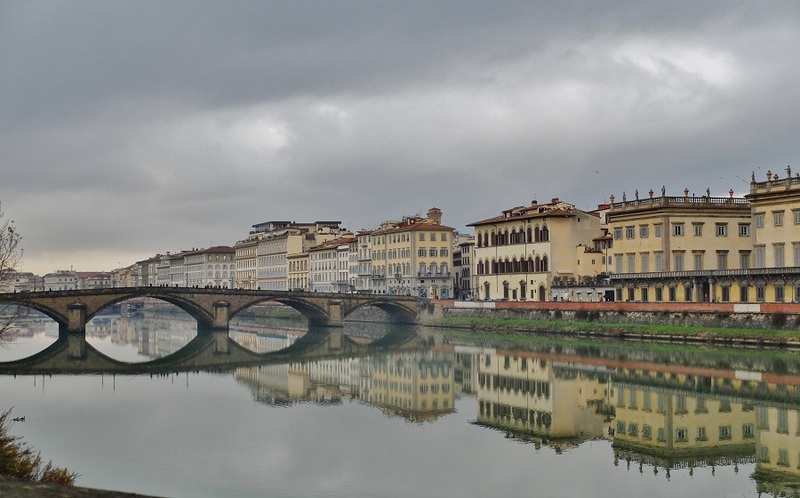 On February 22nd at 11:30-1pm there will be a tour with Julia Bolton Holloway telling the story of Abolitionist Florence and how anti-slavery activists found a welcome home in Florence, this is a collaborative event organized for the 200th anniversary of the US Consulate’s arrival in Italy and for Black History Month. English Cemetery, Piazzale Donatello. Danza in Fiera, a festival dedicated to, you guessed it… dance, returns February 21-24th at the Fortezza da Basso. You can see all sorts of performances and this year there is a special focus on dance as a form of strength or therapy. You can see the full-line of events for the 13th edition right here. For those with kids in tow, consider a visit to the Firenze Winter Park basically an ice-skating rink and more (you can take the number 14 bus from the center of Florence, it’s located along the river at Lungarno Aldo Moro, 7) besides ice-skating they also have a fun “snow tube” where you can fly down a man-made ramp. Great for families or masochistic adults. Open until March 10th this year. Costs around 8€ (per adult), + 2€ for renting the skates. You guys may or may not know that I am a gal who loves to go to the movies and this is a great month to escape #FrigidFlorence in the comfort of one of its most magnificent cinemas smack dab in the center of town, I’m talking about our favorite Odeon cinehall in Piazza Strozzi. This month there is more interesting lineup, starting with The Favourite, Bohemian Rhapsody, Vice , The Mule, Captain Marvel and more. can be found here The full program until March. Tickets cost €8,50 a pop or you can take advantage of their membership of 7 cinema entries for €45,50. As you might already be aware, February is Carnival month all over Italy with events taking place all over the boot to celebrate this awesome traditional holiday leading up to lent. In Tuscany, the top billing is as usual the carnival in Viareggio which has been running since 1873, which if you haven’t been is really worth a visit. The parades are actually quite impressive and feature intricately decorated floats with often very clever politically-minded satires (this year should be good). This is like Tuscan Halloween so people dress up and expect a hurricane of confetti that you will find in your hair, clothes and car until 2020 (battle hazard). Catch the train that goes to Viareggio from Florence’s central Santa Maria Novella train station ( a little over an hour). This year’s lineup starts on February 9th with parades on the 17th, 23rd, March 3rd and 5th, entry ranges from €20 (adults) and €15 for kids, children under 1,20mt enter free more info here. Sharing is caring. Pin this to your Pinterest account if you loved this post! My Easter: When disappoint turns into a blessing in disguise..